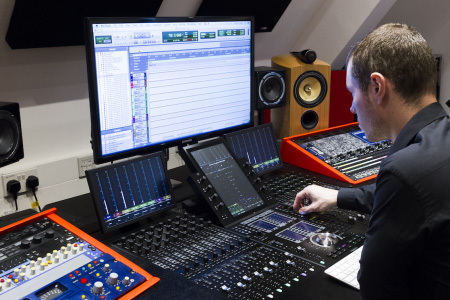 Since Jigsaw24's appointment as an Avid Elite Reseller for Audio in July 2015, they have been quietly successful in supplying Avid Pro Tools S6 control surfaces. They have installed them in a number of the UK’s premier audio production facilities, including: Abbey Road Institute, Airborn Productions, Evolutions, Halo Post, Splice Post and Sound24. In August 2015, they installed a 16 fader S6/M40 in the world-renowned, North London-based educational facility Abbey Road Institute. In September 2015, they installed a 32 fader S6/M40 in Airborn Productions, the Abbey Road Studios-based production facility operated by legendary music producer Giles Martin. In November 2015, they installed a 16 fader S6/M40 in Splice, the Shoreditch, London-based post-production facility. In March 2016, they installed a 24 fader S6/M40 in Sound24, the Pinewood Studios-based winner of multiple OSCAR and BAFTA awards for their work in film sound post-production.